Hopelessly Devoted Bibliophile: A new piece from Laury Falter, author of Fallen! Laury Falter is here again today! 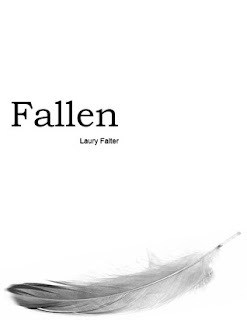 If you'll recall, earlier this month I reviewed Fallen here on the blog. I've been waiting to see if Laury Falter would stop by with a guest post and, lo and behold, she agreed! Below is not merely an excerpt, but a whole new piece of writing from the POV of Eran. Isn't that awesome? Whether you've read this book or not, chances are this will peak your interest. So enjoy, and don't forget to add the book to your reading list! A huge thank you to Laury Falter!